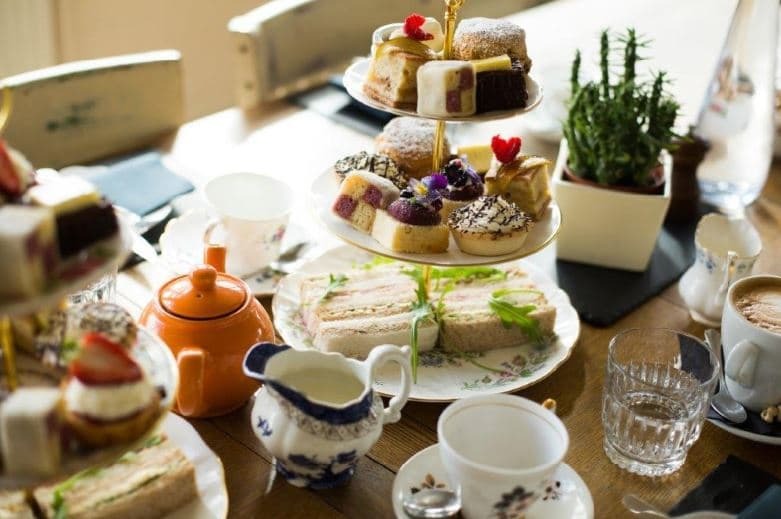 In celebration of National Tea Day, Cheshire hotel, The Vicarage, is extending its popular ‘tea for two’ offer. The two for the price of one Afternoon tea offer which normally runs every Thursday, will also be available on Friday 21st April. Priced at £14.95 per person, Afternoon tea is available for couples and groups of up to 12 guests and must be booked in advance. A 17th Century Grade II listed building, The Vicarage is located just outside the picturesque village of Holmes Chapel in the heart of the Cheshire countryside. The Vicarage’s exclusive Afternoon tea consists of a delicate selection of finger sandwiches on Mandeville’s bloomer, freshly-baked fruit scones, homemade cakes and tarts, served with aromatic loose-leaf teas, Arabica coffee or guests can treat themselves to a glass of fizz. Afternoon teas are served on china tea stands and can be enjoyed in the hotel’s cosy and comfortable lounges, restaurant or sunlit conservatory. A sparkling afternoon tea to include a glass of Prosecco is £18.95 per person and is also available on the tea for two offer. Guests can extend their visit with an overnight stay in one of the hotel’s 20 individually designed bedrooms or six new luxury suites. These spacious and sumptuous rooms all differ in style and have been custom-designed to accentuate the hotel’s elegant yet rustic country-inn style decor. Situated in the most historic part of the building, the suites are luxurious yet homely, with high ceilings, exposed beams and brickwork, king-sized beds, freestanding roll top baths and large walk in showers. The launch of the new suites marks the final stage of the hotel’s refurbishment under family run hotel group, Flat Cap Hotels, which was established last year by Dominic and Oliver Heywood. Prices for an overnight stay start at £120 per couple sharing a twin or double room and include a Full English breakfast for both guests the next morning. As a food-led destination, headed up by chef, Steven Tuke, The Vicarage offers a delicious seasonal menu using only the best locally sourced ingredients.